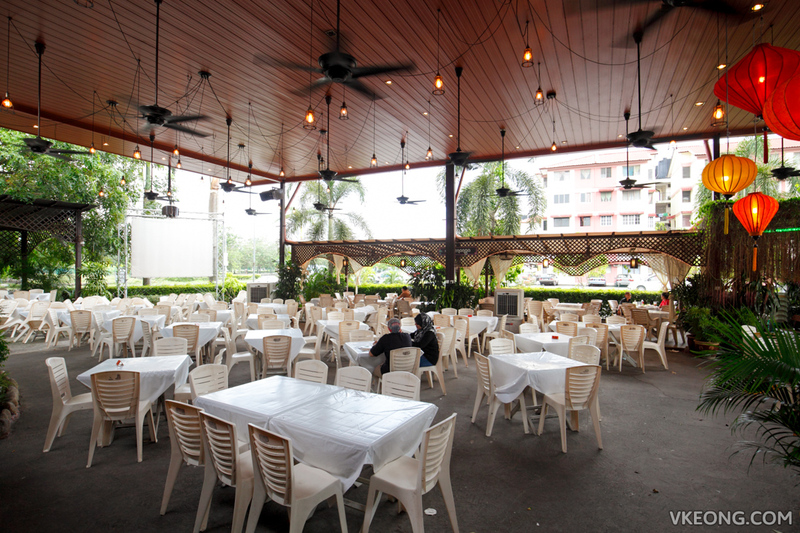 De Pauh Garden is a strategically located restaurant in Permatang Pauh next to Bandar Perda. A couple of places of interests nearby include the Politeknik Seberang Perai, MPSP office and UiTM Penang. So it’s no wonder they are a popular venue for students, families and government officers to have a meal. 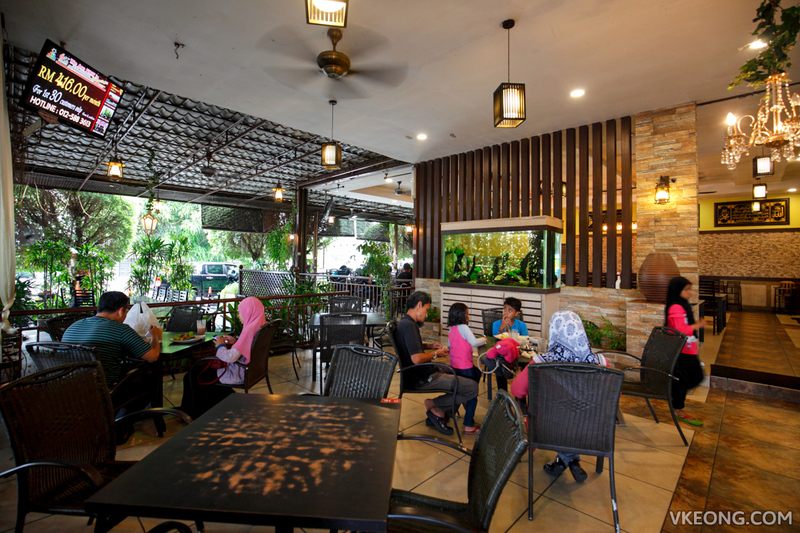 Their vast menu offers everything from nasi campur to crowd favorites like fried chicken, burger, Western food and other local rice and noodle dishes. 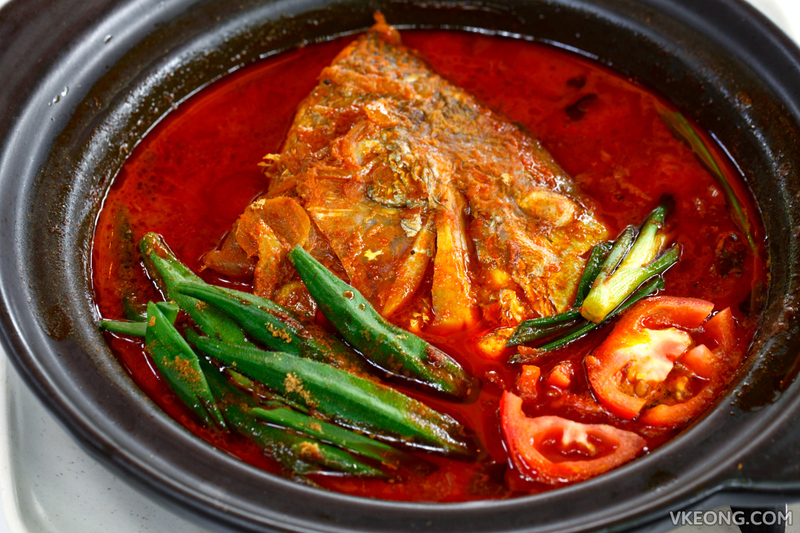 Among all, the claypot fish head curry is a must try especially for first timers. It’s available in two types of fish which could be ikan merah (red snapper) or jenahak (golden snapper). If you are concerned about the price and portion size, fret not because you can opt for half a fish head @ RM35. FYI, a full fish head is priced at RM65. The portion is actually quite large and can be shared comfortably by three pax or more. We were told that the boss personally goes to the local wet market every morning to scout and buy the whole fish. 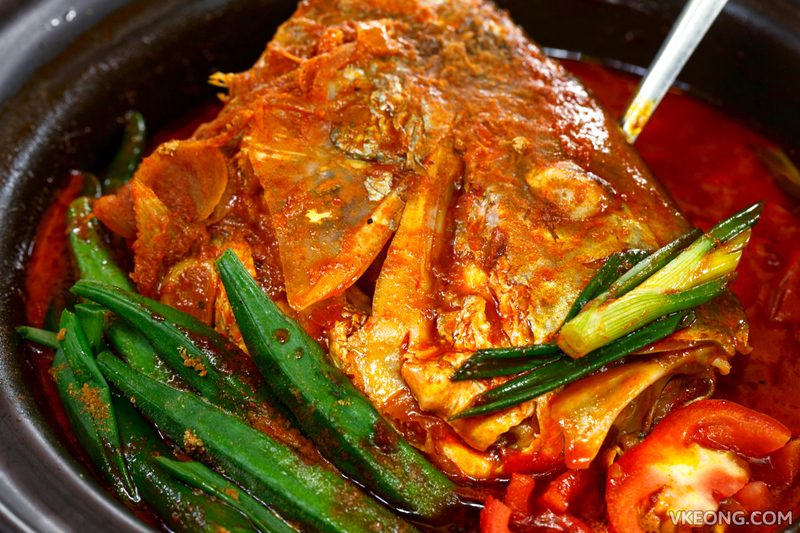 The flesh is used to prepare the dishes for nasi campur, while the head is reserved for fish head curry. Since the fish head curry is cooked upon order, it tasted superbly fresh and the texture of the fish was simply wonderful. The curry gravy was delicious too, it was rich with a perfect balance of spiciness and sourness. Personally, I liked it so much that I was literally sipping on it. 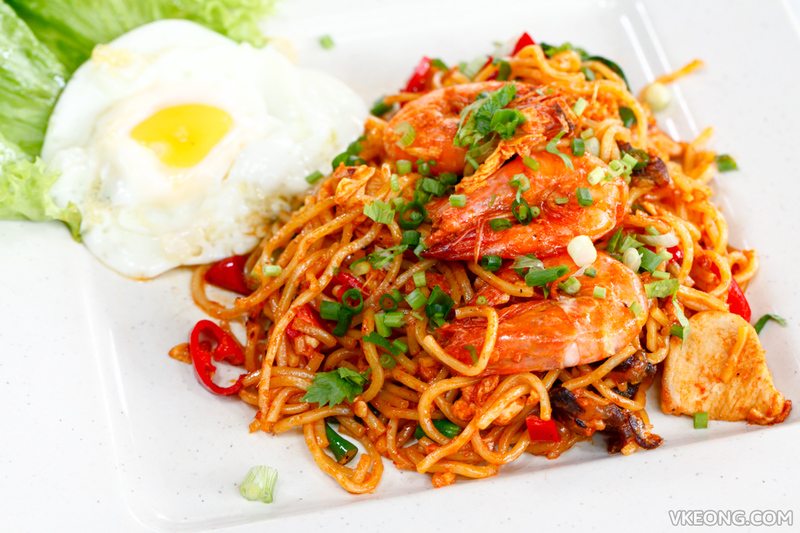 Goreng De Pauh Special @ RM9.90 is their signature fried noodles which we really enjoyed. A better grade of yellow noodle is used so there’s not a hint of alkaline taste. It was aromatic and spicy, complemented with a good amount of seafood and meat. If you like your burger with plenty of mayo, the DPG Cheese Burger Special @ RM9.90 will certainly hit the spot. The open-face burger is blanketed with Lady’s Choice mayonnaise for a remarkably creamy and luscious bite. That said, other more conventional burgers made with Ramly patties are available too. 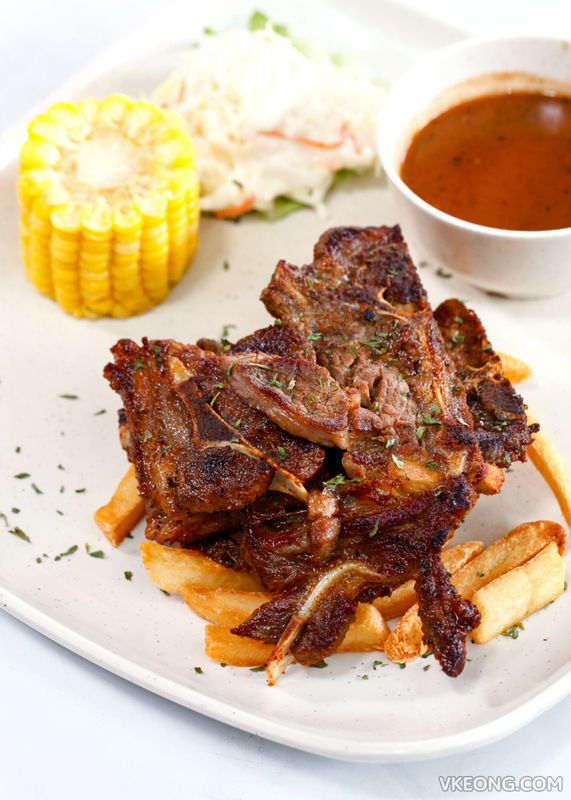 For Western food, we tried the DPG Lamb Shoulder @ RM20.90 which is also their best-seller. There are 6 different types of sauces to choose from: black pepper, BBQ, mushroom, Mexicano, mint sauce and hot teriyaki. The lamb shoulder was well marinated, tender and the sauce (we picked black pepper) went very well with it. Dessert wise you won’t go wrong with the ABC, as this gigantic bowl with lots of toppings (nutmeg included, brownie points for authenticity) only cost RM5. I don’t know about you but I felt the value was very good. 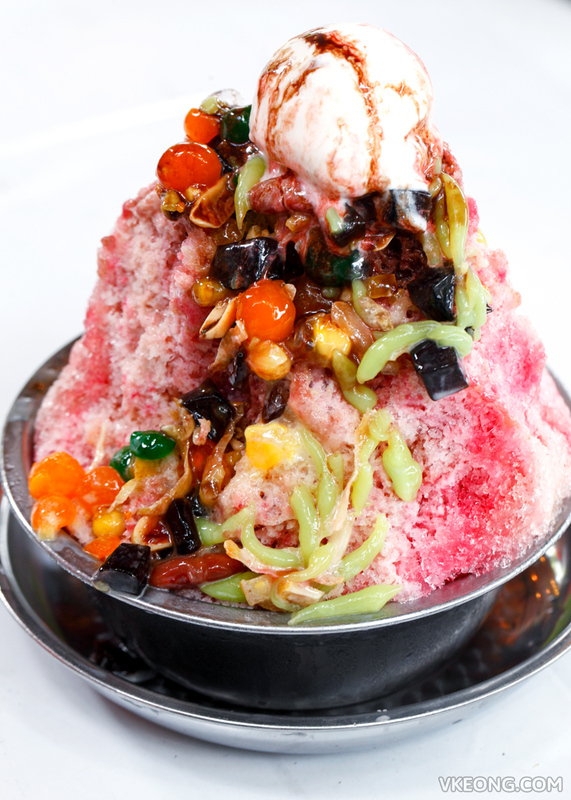 Although ice cream is optional, you simply can’t say no when it’s only RM0.60 a scoop. 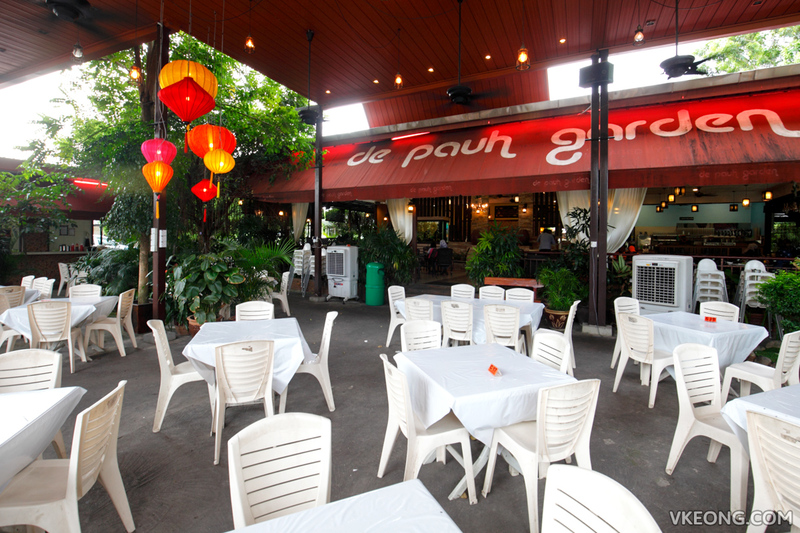 Overall it was a satisfying dinner and I would highly recommend De Pauh Garden to any fish head curry lover. I am sure you will be hooked.